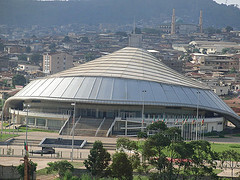 Listing of World and African Sports In Cameroon. In the Cameroon republic sport is very important feature of daily life. Listed below are some of the African sport played in Cameroon. Football Soccer - A real Cameroon sports. Cameroon is a nation obsessed with soccer and soccer is regarded as a national religion, a national pride uniting this central west african nation along as one. Cameroon holds four (4) African Cup of Nations (AFCON) titles won in 2002, 2000, 1998, 1984. In 1982 Cameroon made history on its first participation at the FIFA world cup, exiting the tournament without losing a game on all its three plays with Italy, Peru and Spain. Also in 1990, the Indomitable Lions once again made history on their second world cup appearance being the first African team to reach the quarter finals of the 1990 FIFA world cup games, thanks to its legendary player Roger Milla (Miller). Milla was the oldest play to play the FIFA world cup games at age 38. Noteworthy about Cameroon national team, know as the Indomitable Lions of Cameroon, is that many of its players, up on till the early 1990s where local amateur players. They player soccer as hobby while holding regular jobs such as college teachers, civil servants, and others. With the success of the Indomitable Lions of the Cameroon at the FIFA 1990 world cup games, Cameroonians players exploded into the professional soccer scene becoming hot commodities - so to speak. Many Cameroonian players have had very successful professional football careers in Europe and beyond. The level of such success is reflected in the fact that the Cameroonian national team, the Indomitable Lions is almost 100% professionals with almost no local players able to make it into the team. The Cameroon national football league has greatly suffered from this migration as many local football clubs almost never see their young players mature. Players are either sold or seek higher playing Europe teams even before the make it to the first division of Cameroon football championship. The indomitable Lions of Cameroon rank top best from Africa, within first twenty world soccer teams every month the FIFA world ranking is released. Cameroon local football clubs are mostly organized along ethnic lines, especially in western, north western south western region of the Cameroon where sponsorship for the teams are limited. Douala and Yaounde based football clubs are more diverse attracting players from all over Cameroon and other African nations given the corporate and departmental sponsorships of the teams. 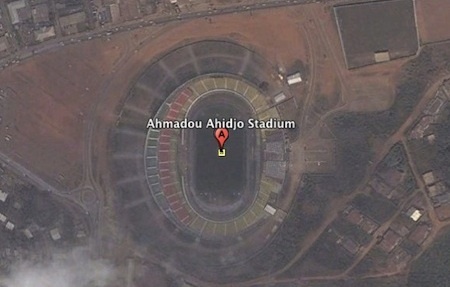 A growing trend in Cameroon is the proliferation of Football training schools. This schools are organized for business purposes to seek out young talented soccer players to sale to European base teams. Very successful amongst these football training schools is the Cameroon brewery football school known by its french name Ecole Football de Brasseries Du Cameroun de Douala. Notable graduates are world-renowned soccer player Samuel Eto'o Fils, Rigobert Song. Notable amongst Cameroonian successful football palyers are: Lauren Etame Mayer, Samuel Eto'o Fils, etc. Cameroon, especially francophone Cameroun, has a growing interest in basketball. Cameroon's interest in basketball dates back to the 1960s and by 1965 Cameroon was admitted into the International Basketball Federation (FIBA). At the professional level, while Cameroon is an unknown name at National Basketball Association games(NBA) Cameroon has an impressive presence at the National Collegiate Athletic Association (NCAA) games. Basketball is more a city and leisure game in Cameroon. Currently the cameroon Ministry of Sports and Physical Education has been promoting basketball games. Boxing - A Cameroon sport. Boxing is a specialized sports in Cameroon and played only by a few Cameroonian. Formerly known as the Guinea Mount Cameroon Race named after the official sponsors of the race for decades, Guinea Cameroon. Mt. Cameroon Race of Hope is held annually in the Cameroon city of Buea, former Capital of German Kamerun. This is an all day event attracting runners from all over the world and largely covered by lots of Cameroon sports news media.